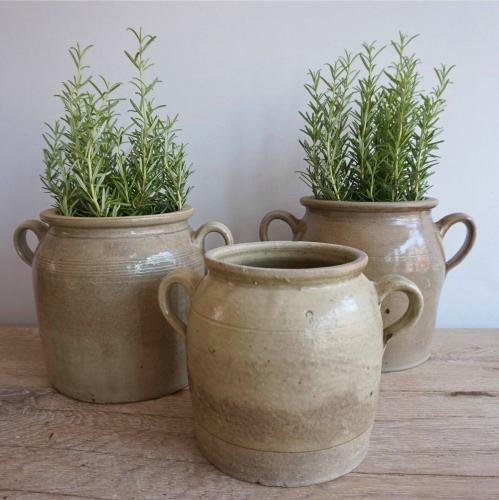 A handsome trio of early 20th century vintage Burgundy confit pots with rare ear handles. Circa 1900 - 1920 in perfect original condition. Available individually or as a set.